NEW YORK - OCTOBER 02: Minority Leader of the United States House of Representatives Nancy Pelosi speaks at The 2011 New Yorker Festival on October 2, 2011 in New York City. Alas, Pelosi never said that. Keach Hagey reported out the details. [Howard Kurtz] was the lead writer on a story pulling together reporting from a group of reporters that included Lois Romano, who had interviewed Pelosi earlier for a profile that ran in Newsweek/The Daily Beast on September 25th. During that interview, Pelosi said some things that fit the theme of today’s story – about Obama’s return to populism – and so Romano turned over some of her unused quotes to Kurtz for his piece. Somewhere in the hand-off, however, there was a miscommunication, according to several Newsweek sources. Notes that framed the interview were misinterpreted as part of the transcript. 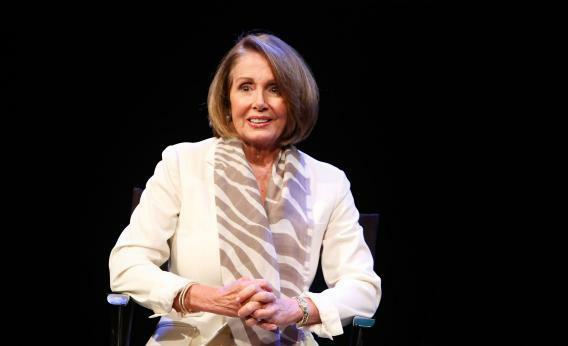 No, Lois Romano’s musings about what the White House gets wrong are not as newsy as Pelosi’s. The story has been fixed. But how did the Internet’s aggregation sites handle it? At Fox Nation, a splash page for the story (HTML: “pelosi-slams-obama-team”) has been deleted. “You’ve lost your way!” readers are warned. “Try going Home or read a Fired Up story.” I’d recommend “October Offensive: Van Jones Threatens Violence Next Month?” because it’s fun to see quotes from black liberals over-interpreted as scary threats. At Weasel Zippers, a conservative aggregation blog, the botched quote is still up as a news story (via Fox). At Political Wire, it was posted, then taken down. “I had an unintentional and unfortunate technology problem,” says PW editor Taeggan Goddard. So: Who wins the accountability battle over the quote? The Daily Caller! Instead of just aggregating the news, Will Rahn got a quote from Pelosi’s office pushing back on it. The lesson: Talking to people for stories is better than aggregating. Now, let’s all sleep on it and immediately forget the lesson.